After five years of hiking trails as a Boy Scout, Troop 50's newest Eagle Scout candidate is literally blazing a trail toward the rank of Eagle Scout as he begins the initial phases of his Eagle Scout leadership service project. Aided by his Eagle coach and scoutmaster, Andrew Baird, Davis is creating a nature trail at Auburn's newest elementary school, Pick Elementary. 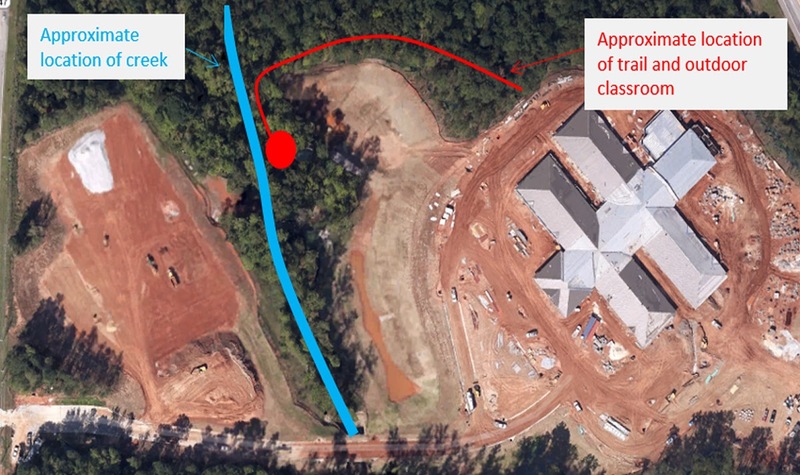 When complete, Pick Elementary School students and teachers will be able to observe and learn more about nature as they travel the nearly 250-yard trail that will end alongside the creek that runs through the school's property. will come together when assembled on site. 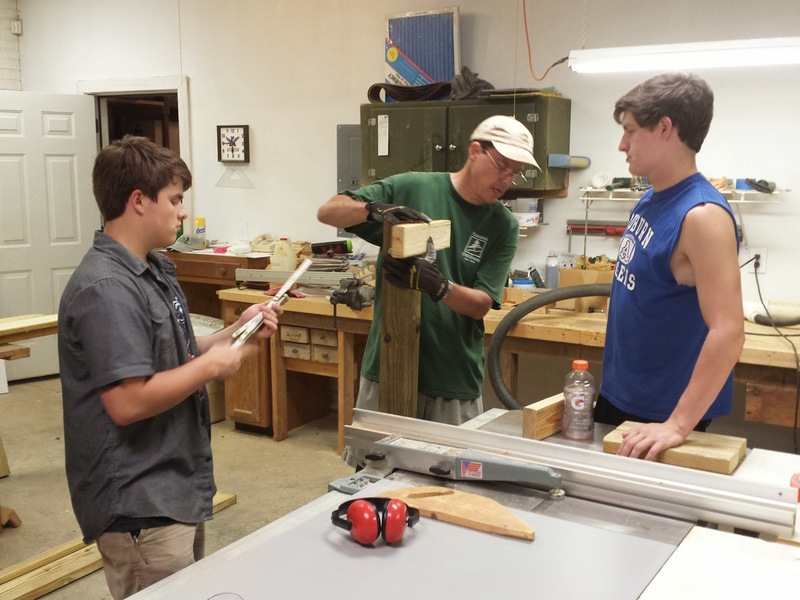 After having his project plan approved by Saugahatchee District's Eagle Board in May, Davis has spent time since then finalizing his plan with his project liaison and former elementary school physical education teacher, Chuck Cooper. Together, they determined the exact placement of the trail, and identified, priced and purchased the materials he would need to complete the project. Davis' efforts will include planning and coordinating work to mark and clear the trail, as well as creating an outdoor classroom at end of the trail along the bank of the creek. The outdoor classroom space will consist of a permanent table and several six-foot-long benches that will provide seating for outdoor instruction ranging from biology to nature lessons. The creek is home to a number of species of wildlife, giving third- through fifth-grade students an opportunity to observe, track, and appreciate local wildlife. assembled into outdoor classroom benches. 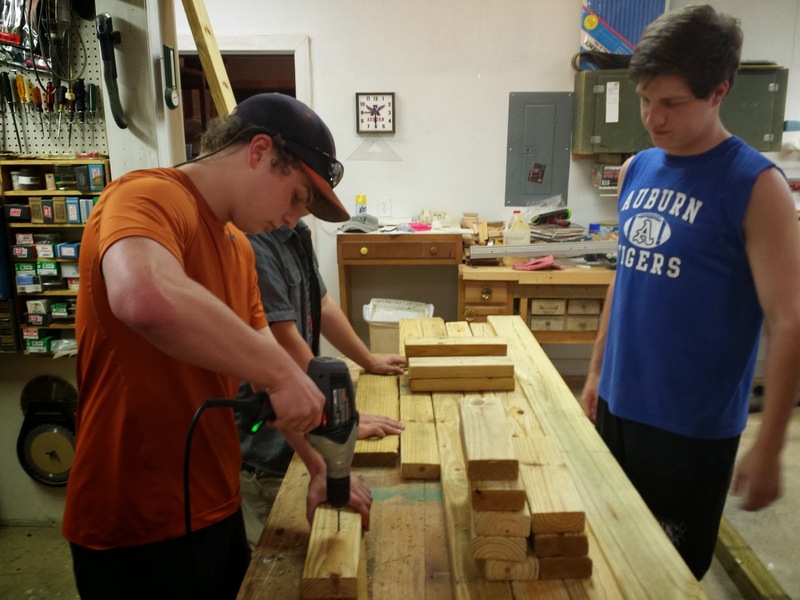 The first phase of Davis' project includes preparing the various lumber components of the benches and table. He, fellow Scouts, and Mr. Baird spent the afternoon measuring, cutting, and drilling so that on-site construction will go more smoothly. Davis will be reaching out to more Scouts, leaders, and parents in the troop to assist during several work days at the school later this month. Come back to our blog to see Davis' progress over the next several weeks, and view photos of his leadership efforts in the troop's online photo album.